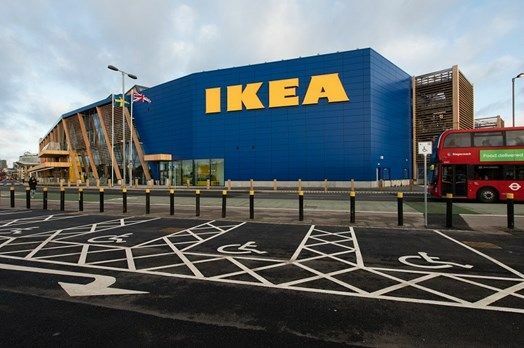 IKEA has opened its first full-sized London store for 14 years, in the shape of a new sustainable branch in Greenwich. The retailer describes the store as a ‘beacon of sustainability’ for the brand in the UK. The retailer’s in-house design team worked with SRA Architects to create a store designed to have a positive impact on the environment, and to promote healthy and sustainable living. The store’s location at the Millennium Way Retail Park, on the Greenwich Peninsula, has been chosen to be easily accessible by public transport. The store offers a range of delivery options – including Zedify bike couriers and Hertz EV van hire – to help customers shop without using their cars. The store also offers electric car charging points and covered cycle parking.